The only thing more banal than rappers spitting rhymes about their new 50” plasma screen is smug hipsters who won’t shut up about the fact that they don’t even own a TV, man. I apologise in advance for the sanctimony you are about to receive. The insidiousness of mass media is a tired trope. But like so many clichés, if you dig deep enough, there’s a lustrous pearl of truth nestled amongst the old shellfish guts. It’s not that TV is inherently bad. In the barren wasteland of over-saturated, collagen-plumped dross, palm-fringed oases are popping up everywhere. We’re getting the most electrifying shows ever created, with genuinely transgressive themes, gorgeous cinematography, fingernail-bitingly strong plot lines. Hollywood, eat your heart out! The danger is that TV is too good. The blue meth Bryan Cranston’s cooking in Breaking Bad symbolises this new formula: So perfectly pure, such incredible quality, you can’t possibly just have one hit. TV wriggles into our heads and changes our very physiology; our brain function, our reward systems, our moods. The memetic parasite manipulating the pleasure levers has been so wildly successful that it’s woven itself into the fabric of our culture, making it almost impossible to catch a glimpse of its true, Lovecraftian form. Sometimes the most obvious realities are the hardest to discuss, hence our strange cultural blind spot: with thousands of TV critics filling column inches and every corner of the internet, hardly anyone actually criticises TV. The human race’s single biggest pursuit is now watching TV. Nielsen reports the average American soaks up more than 34 hours each week. We’ve had the occasional moral panic about this over the years, but our hearts aren’t really in it. On the whole, society seems to have shrugged its shoulders and flipped to another channel. Perhaps the lack of introspection comes from the assumption that we, as individuals, are not part of this phenomenon. How much TV do you think you watch? Great – now double it. When British researchers asked 25 to 34-year-olds to estimate how much time they spent watching TV, the respondents guessed 15 to 16 hours a week, on average. The meter-reading results for the same demographic provide the unvarnished truth. Once you strip away forgetfulness and wishful thinking, the real figure was 28 hours a week. Zooming out to come face-to-face with the big picture is confronting. Nielsen’s 34 hours a week becomes 1768 hours a year; the equivalent of a red-eyed binge lasting 10 and a half weeks. It’s as if you settled down in front of the set in late January, and didn’t stop watching to eat or sleep until your zombie-fied body finally arose from the tomb on Easter Sunday. 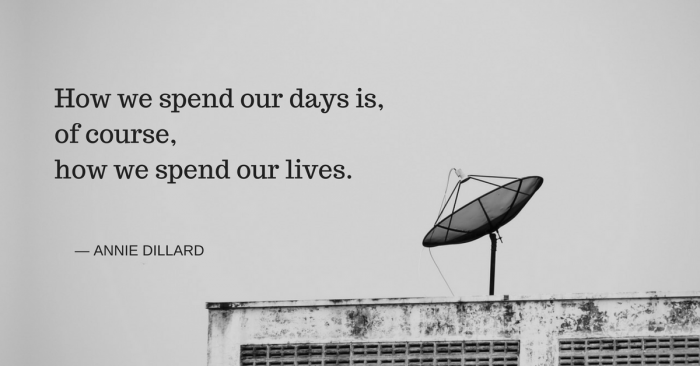 This stupendous time sink is one of the biggest costs associated with TV dependency, which we’ll come back to soon. First, a brief look at the financials. Unless you’re one of those people with a TV in every room, the upfront cost isn’t a big deal. Consumer electronics are cheap as chips. The real cost is in cable and subscription services, with all their associated taxes, sneaky fees, and add-ons. Cutting cable saves the average American $1200 a year, which is impressive, but not life-changing on the face of it. This is where the power of compound interest comes in. If you invested the savings, it’s a decision worth $17,000 over 10 years, and a cool $1 million over an adult lifetime. 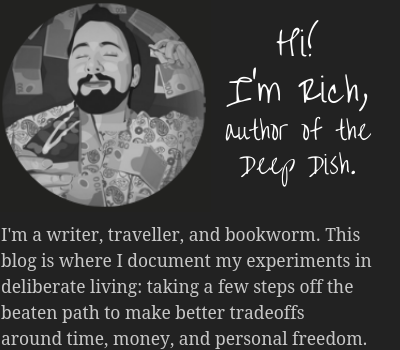 In conjunction with a raft of other small lifestyle tweaks, you can imagine how this becomes truly transformative – the sort of savings freight train that can turn cubicle slaves into retirees by their early 30s. 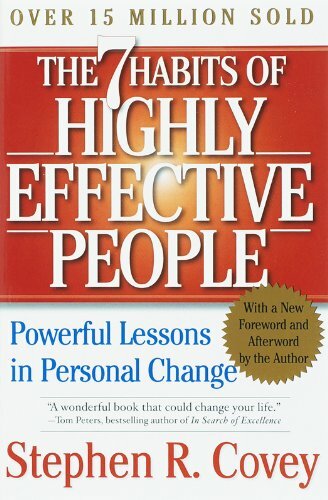 I know this stuff works because I’ve used it to change the course of my own life, albeit in a less spectacular fashion. If you’re trying to fix your finances, pay TV is low-hanging fruit. It falls outside the daily battle of forcing yourself to abstain from a treat or resist impulse buys, which constantly drains your limited pool of willpower. When the reservoir runs dry – and it will – you’ll inevitably give in to temptation. With cable-cutting, one quick snip does the trick. You only have to muster enough willpower to make the decision once, and it continues to enrich you forever. Of course, watching free-to-air TV is no panacea. If you ever wondered how a late-night TV binge can somehow turn you into the sort of dribbling vegetable who can’t stop watching Infomercials, it’s because the features of the medium can have a mesmerising effect (more on this later): Yes… I would like to make three easy payments of $37.99. Yes… please upgrade me to the bonus seven-piece apple corer set. I was going to put a satirical example here, but the reality is much, much more insane than anything I could come up with. Early research suggested TV induce alpha waves in the brain, making people lethargic and suggestible. At the same time, beta waves associated with paying attention were supposedly blunted. This brainwashing theory remains very popular with conspiracy theorists, but it’s no longer well-supported. Nevertheless, the tinfoil-hat wearers’ general point is correct – there’s definitely something untoward going on. In a recent study, neuroscientists found prolonged TV viewing changed children’s brains in ways that lowered verbal IQ. Other studies have linked TV with everything from antisocial behavior to obesity to diabetes to mental health problems. For each additional hour of television a week watched in childhood, chances of developing symptoms of depression increase by 8 percent. We live in an increasingly lonely and atomised society, subject to unprecedented psychic misery at a time of unprecedented prosperity. This paradox is explained by two parallel forces. The first is the ‘waning of the commons’ – a breakdown of traditional family structures, of belief in God, of nationalism – in short, the things in which humans have historically found a sense of purpose that transcends their own lives. As these collective myths crumble, the void has been filled by the rise of extreme individualism, beamed out in HD clarity through the TV set. There are no gods, no objective moral truths, no borders. Who cares what your parents say, or the village elders? Do whatever you want! Be yourself! You’re unique – and you’re all alone in the universe. It’s no surprise that those afflicted by this existential malaise seek solace in the TV. For the vast majority of our evolutionary history, we lived in small, tightly-knit groups. We still have about 150 slots for social relationships, and researchers have found we’ll fill any vacancies with celebrities and TV stars. We genuinely feel like we know them, which helps explain why there’s an outpouring of grief every time a star – a perfect stranger to her hordes of adoring fans – shuffles off the mortal coil. Witness the endless quizzes along the lines of: ‘Which Pretty Little Liars character would be your BFF’. 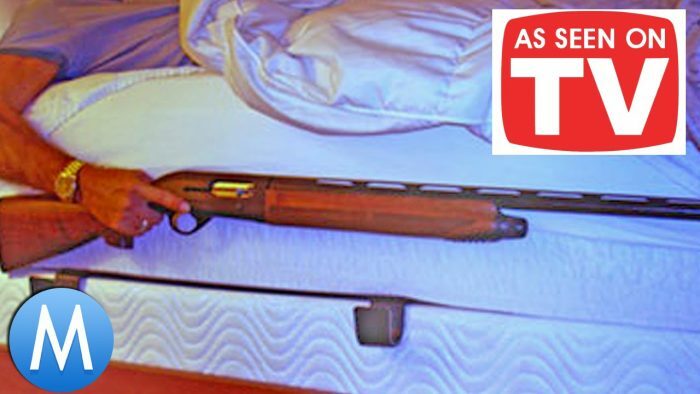 Harmless fun? Or symptomatic of something broken within ourselves? 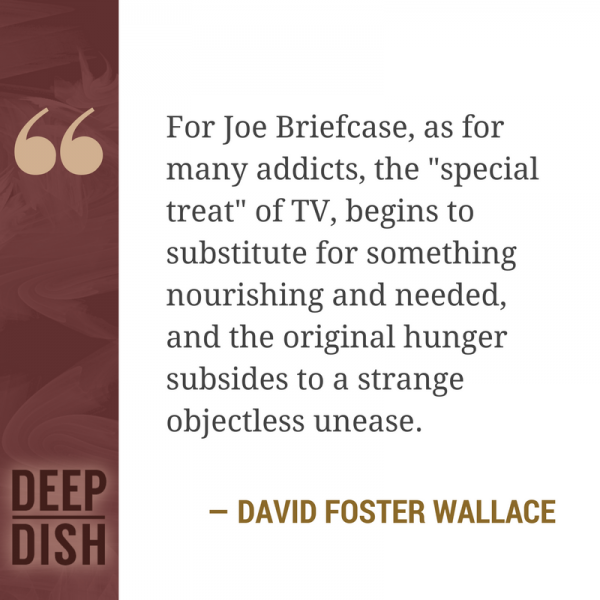 David Foster Wallace – no stranger to the comforts of the TV set – worried about interactions with real human beings replaced by the the “fake, passive one-way street” of pseudo-relationships with 2D characters inside the box. It’s a vicious cycle, he observed; the more you retreat from society, the less incentive you have to cultivate the real-life connections that are so crucial to mental health. As we condition ourselves to loneliness, it becomes a second shadow that follows us everywhere we go. Psychologist Mihaly Csikszentmihalyi and media researcher Robert Kubey tracked the experience of TV viewers through each domain of life: Do they dislike being with people more? Are they more alienated from work? What we found nearly leaped off the page at us. Heavy viewers report feeling significantly more anxious and less happy than light viewers do in unstructured situations, such as doing nothing, daydreaming or waiting in line. It’s still up for debate whether TV makes us depressed, antisocial and unhealthy, or if people who are miserable, lonely and sedentary gravitate toward watching TV in the first place. Csikszentmihalyi and other researchers suggest it’s mostly the latter. However, they say it’s not a simple case of either/or. Even if TV isn’t the root cause of the unhappiness in our lives, it’s bad medicine. Within moments of pushing the power button, viewers are flooded with feelings of relaxation. Because it happens so quickly, they’re conditioned to associate TV viewing with rest and lack of tension. Leisure time is good for us, but not all leisure was created equal. Once the screen goes blank, the positive feelings dissipate, and stress sets in. This sort of pleasure offers little lasting satisfaction. We quickly adapt to each new thrill and have to seek out the next bigger and better thing; permanently pounding away on the hedonic treadmill just to stand in place. 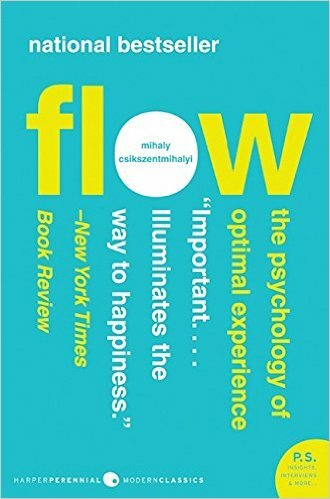 Csikszentmihalyi’s most famous work describes the ‘flow’ state – full immersion in a specific task, which creates immense joy and life satisfaction. 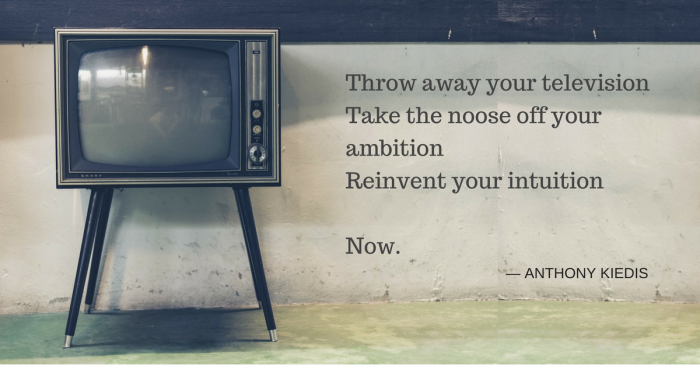 Passive leisure, like TV-watching, is not fertile ground for flow. Positive psychology research suggests one of the keys to enduring happiness is to switch to ‘active leisure’; socialising with friends and family, cognitive activities including hobbies, games and learning, and sports and exercise. Most of us claim to be far too busy for such trivial pursuits. That doesn’t jive with those pesky statistics, which suggest we’ll still find the time to indulge in 100,000 hours of TV-watching over the course of a lifetime. What happens if you repurpose even a fraction of that time towards active leisure? Most skills take several thousand hours of deliberate practice to master. In the space of one lifetime, we could become an accomplished pianist, a chess Grandmaster, a competitive tennis player, proficient in a second language, a chef, a published author, a carpenter, a programming whizz, a dedicated parent or family member, and a community leader. Or we could watch a whole lot of TV. This astronomical opportunity cost is what really terrifies me. Even if TV doesn’t actively harm us, it’s a thief of time – the only non-renewable resource we have. 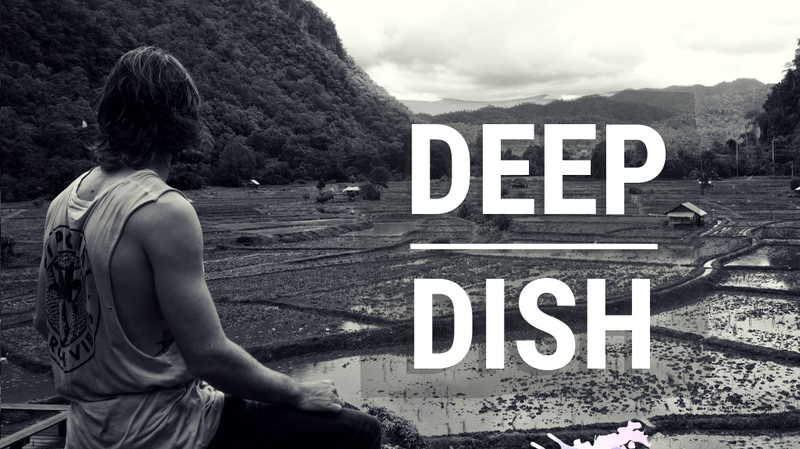 It prevents you from doing the sort of deep work that will set you apart in the fragmented attention economy, pulls you away from real relationships and community, atrophies the attention needed to maintain a healthy body, and hamstrings growth and personal development. 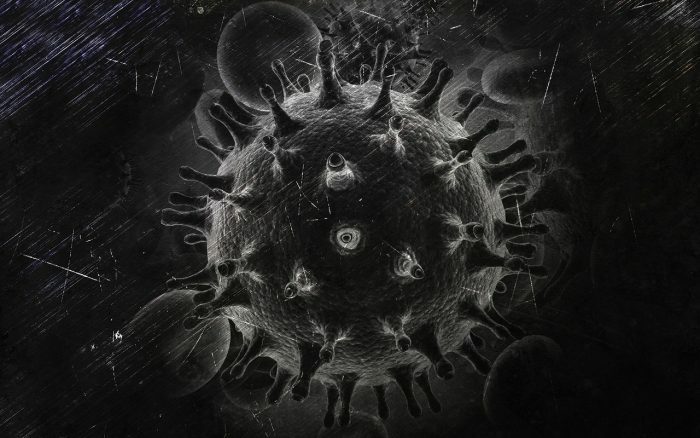 Every successful parasite – be it a biological organism, or a memetic mind-virus – is a master of exploiting the physiology of its host. In my experience, turning off the TV is easier said than done. Guided by people and profits, it’s evolved over time to capture our attention as efficiently and ruthlessly as possible. One of our most primal evolutionary quirks is a sensitivity to sudden movement and sound. If those rustling bushes conceal a saber-toothed lion, that’s going to ruin our whole day. The simple features of television – cuts, edits, zooms, sudden noises – activate this ‘orienting response’, which makes it difficult to tear our eyes away from the screen. If you’ve ever felt mesmerised by an episode of Hannibal, it’s not just because of Mads Mikkelsen’s hypnotic charms. Then there’s the content. 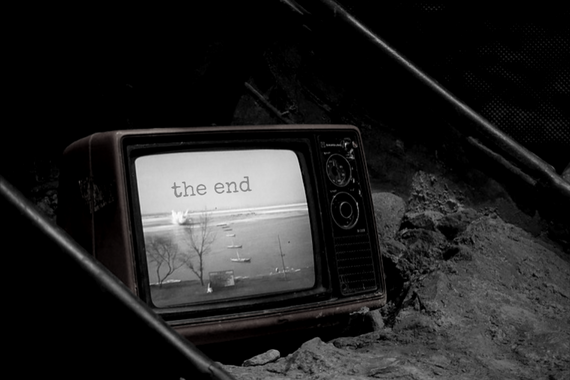 The nail-biting anxiety of a cliffhanger ending goes deeper than you might think. Your amygdala – the most ancient part of the brain – doesn’t know the difference between TV and real life. There’s a polar bear! And a black smoke monster! And a nuclear explosion! Not knowing what’s going to happen stresses you out, releasing a flood of cortisol. Suddenly, you’re wide awake. It’s 2am and you promised yourself this was the last episode… and the binge continues. Finally, there’s the technology. When you login to a service like Netflix, all you see is a simple user interface. What you can’t see is that every last pixel has been A/B tested to capture your attention for as long as possible: auto-playing videos, the recommendation algorithm, entire seasons uploaded in one stroke. Tech firms employ some of the smartest people on the planet, and they’re using the full force of their intellects to hotwire the buttons in our reptilian lizard brains. The news media bombards us with irresponsible stories shrieking that everything from carbs to sunshine to cupcakes are ‘as addictive as cocaine‘. Fidget spinners are probably the equivalent of black-tar heroin. Of course, this boy-who-cried-wolf schtick makes healthy-minded skeptics less inclined to believe anything is addictive, which is worrying. 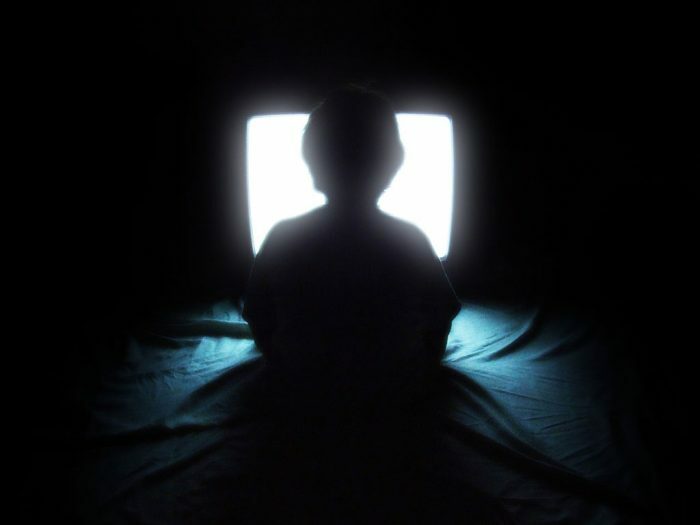 Kubey and Csikszentmihalyi say the term ‘TV addiction’ is imprecise and laden with value judgments, but it captures the essence of a very real phenomenon. Clearly, lots of people are able to watch a bit of TV quite happily. Perhaps they don’t tick any of these boxes at all. There are plenty of benign ‘addictions’ too – exercise, stamp-collecting. So, how to tell if something is malignantly addictive? 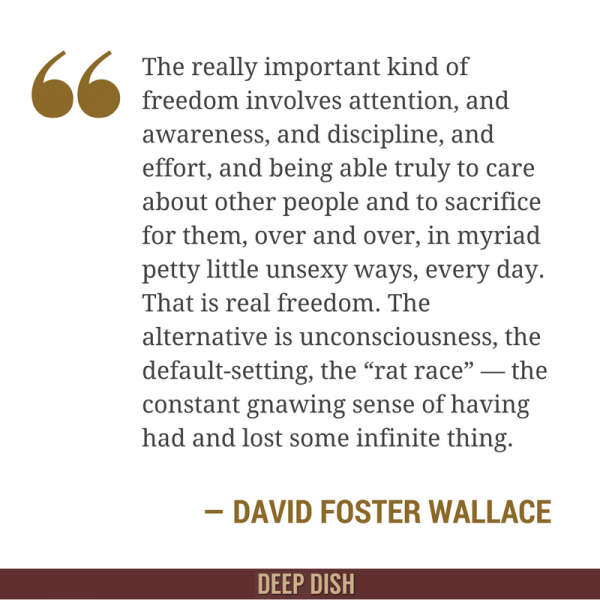 For David Foster Wallace, the fundamental distinction is that it causes real problems for the addict, while offering itself as relief from the very problems it causes. The brain is plastic. If you watch TV before you fall asleep, eventually you condition yourself so that you can only fall asleep once you’ve watched TV. Two days a week is better than seven. Some people allow themselves to binge guilt-free on the weekends, so they can reserve the working week for more productive activities. Think Game of Thrones viewing parties. If you schedule your TV time to be with other people, you can watch more actively and get some of that sweet, sweet human contact. Instead of flicking on the TV as a matter of course, consciously curate the shows worthy of your attention. I use reviews and the recommendations of friends to filter the crème de la crème, and only watch that: You will wrest Rick and Morty away from me over my cold, dead body. Anecdotally, people report getting a lot more satisfaction out of watching a few hours of amazing TV on Sunday then they do by passively watching 20-30 hours throughout the week. I owned a TV up until a year ago, but it was a dumb box, unconnected from cable or network. The only time I could use it was for deliberate consumption, by plugging in my laptop. That still leaves the laptop itself. I’ve found sheer willpower is not enough – I have to set up defences against my future self. 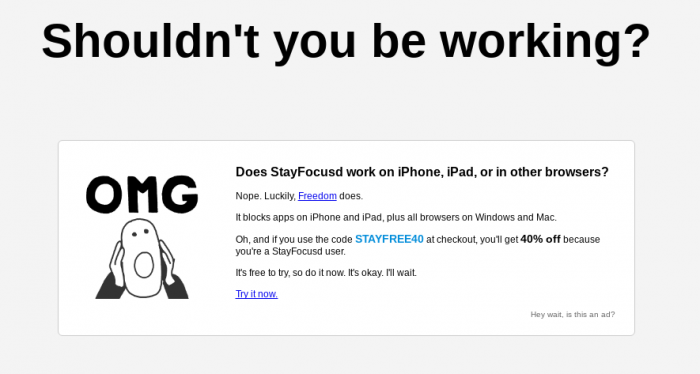 The StayFocusd browser extension has been life-changing. Now I can ban myself from accessing certain sites for more than a certain time per day, block them altogether, or limit them to certain days of the week. Why – yes, yes I should! If you eat the entire tray of cupcakes you made for the bake sale, spend every night engrossed in silicon-swollen debauchery, or hit the bottle so hard you wake up not knowing who you are, you’re hardly going to rush out and tell everyone. Rightly or wrongly, we stigmatise over-indulgence. TV addiction isn’t frowned upon. Instead, it’s practically a badge of honour. Binge watching an entire season of The Walking Dead might have turned you into a dead-eyed zombie, but it’s the sort of feat that most people wouldn’t think twice about publicising to their friends or social media feeds. Maybe there’s a shred of self-deprecation involved, but it’s always the sort of airy ‘aw shucks’ confession made with outstretched palms and a bemused grin. We’ve all been there, which makes TV addiction incredibly relatable. If everyone was an alcoholic, no doubt we’d all swap hilarious tales about getting blackout drunk for the 9th night in a row, and commiserate with one another about how our relationships are falling to pieces. Those cultural norms have to come from somewhere. I’m pointing the finger at the TV-fawning media, which not only enable our addiction, but actively encourage and promote it. 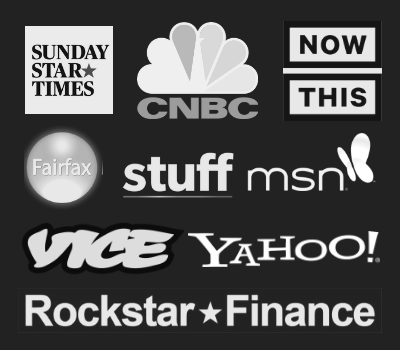 Witness the thousands of variations on the theme ‘TV Shows You Must Binge-Watch Right Now’, pumped out by everyone from Buzzfeed to The Guardian. All of this is part of the broader Girls-style glamorisation of tragic, in which it’s cool to be a hot mess, and privileged twenty-somethings fall over one another to tell everyone how dysfunctional and zany their lives are. As the West grows more secular, people love to make fun of cosmic Jewish zombies, white-bearded sky-fathers, and a certain prophet-who-must-never-be-drawn. How could anyone be so backwards as to kneel before these false idols? Before leveling such accusations, we should first remove the deus ex machina from our own eye. Maybe our more enlightened descendants will be just as baffled by our awe-filled devotion to the god from the machine. Billions of acolytes take to their chambers every night, bathed in blue light for hours, alone. Could we all be wrong about a cultural practice so universal it has engulfed the entire planet? It’s possible. History is littered with examples of reprehensible ideas that everyone thought were totally OK at the time. I don’t know if future historians will look back at the Netflix Epoch with horror, but I think, at the very least, they’ll be confused: How could we squander the immense wealth and opportunities laid before us, to end up in such misery? To paraphrase David Foster Wallace, there’s no such thing as atheism in the day-to-day trenches of modern life. Everyone worships something: The only choice we get is what to worship. The real benefit of choosing something spiritual, some ethical or existential code that strives and strains toward a higher meaning, is that anything else will eat you alive. 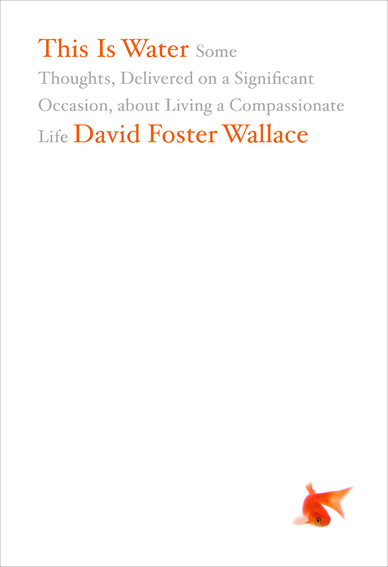 For Wallace, the insidious things about those other forms of worship – power, money, beauty, pleasure, the self – is not that they’re inherently evil; but that they’re unconscious. We slip into worshiping them day by day, without even being aware of what we’re doing. We become lords of our own “tiny, skull-sized kingdoms”, but we never manage to rise above our default settings. I’m writing this essay not as a cured man, but as a patient lying in the hospital bed next to you, hoping to pass on some remedies that have proved useful. Our convalescence will benefit from a few shared commitments: Let’s do the hard work. Let’s be careful not to glamorise the tragic and the infantile. Let’s stop taking the course of least resistance; the path that atrophies us into lethargic ghouls shuffling through life on autopilot. Maybe we’re not strong enough yet. At the very least; let’s give a name to the parasite of passivity that has ingratiated itself into our gray matter – I see you! I defy you! – and force it out into the sunlight. 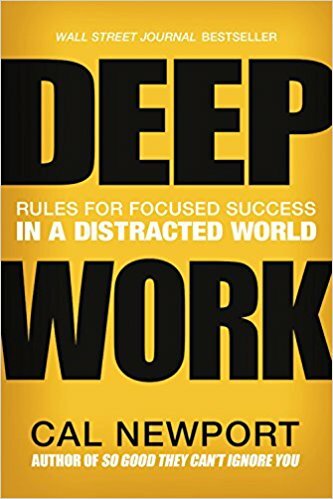 The importance of ‘deep work’ is explored in Cal Newport’s book of the same name, which I highly recommend (see note 4, and further reading below). The ‘waning of the commons’ was coined by Martin Seligman, who like Csikszentmihalyi is one of the foremost researchers in positive psychology. The time required to attain mastery is not necessarily 10,000 hours, the ‘rule’ popularised by Malcolm Gladwell in Outliers. Gladwell sure knows how to spin a cracking yarn, but the rigour of his journalism leaves something to be desired: Anders Ericsson, the psychologist whose work he misinterpreted, had to clarify that there was no magic number for greatness – some experts practised significantly less or more, with the key being deliberate practice that pushed them beyond their comfort zone, and feedback loops to identify and work on weaknesses. Gladwell also implied anyone can rise to the top of any field with enough hard work, which is unlikely to be true. ‘Television addiction is no mere metaphor’ was published in Scientific American. Be sure to also check out Csikszentmihalyi’s book (below). This metaphor comes from Seneca, in Letters From a Stoic. An excellent toolkit for increasing productivity and life satisfaction, with specific tactics for minimising distraction – I’m already putting some of Newport’s suggestions into practice with promising results. Includes a quick dive into the science behind productivity and willpower, which is fascinating. Deep Work will definitely make my list of the best books I read this year. Have you ever felt so in the zone that hours pass by unnoticed? Csikszentmihalyi’s groundbreaking research found this ‘flow’ state of consciousness strips away the ego, and creates deep and abiding happiness. He gives a detailed description of the conditions required to set up the perfect level of challenge, which means achieving flow doesn’t have to be left to chance. A heartfelt plea for sincerity, gently but firmly pushing back against the cynicism and snark at the heart of postmodernism. Unlike Infinite Jest, it’ll take you 10 minutes to read (or watch) and it’s available online for free. While DFW’s literary fiction schtick doesn’t do it for me, his essays are brilliant. A Supposedly Fun Thing I’ll Never Do Again contains ‘E Unibus Pluram’, which is the other essay I’ve drawn upon in my piece above. 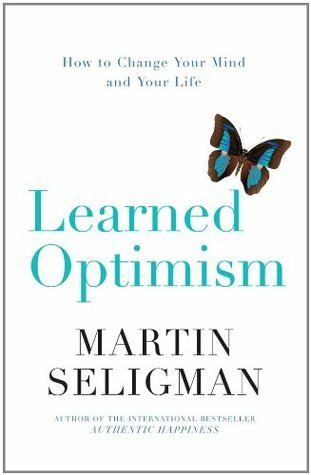 Seligman makes the case for instilling optimism as a life skill, outlining the ways it correlates with success in everything from health and the immune system to sales to politics. This book could be enormously liberating for anyone convinced that depression is some deep underlying disorder to be rooted out. Seligman attributes most cases to patterns of conscious negative thoughts, which are eminently fixable, and lays out the exact techniques for changing your modes of thinking and ‘explanatory style’. Harari approaches the depression epidemic from a different direction, but comes to a similar conclusion to Seligman about the existential crisis caused by the breakdown of community. That’s just one small facet of this wide-ranging history, which might be one of the most fascinating and revelatory books I’ve ever read. 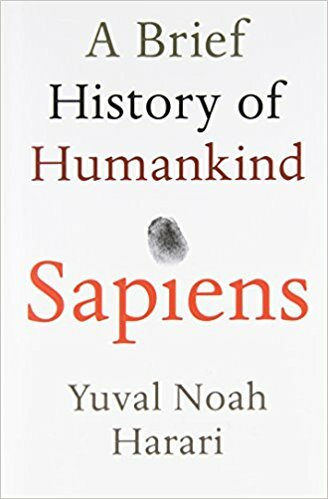 The most intriguing idea: The ability to co-ordinate through abstract fictions (human rights, countries, religion, money) was the real impetus behind our species’ dominance. Too many Cheesy Capitalised Words (TM), somewhat repetitive, prone to stating the bleeding obvious, and a bit of gratuitous god-bothering. With that being said, it’s sold 25 million copies and counting, and is still the best introduction to interpersonal communication that I know of. Gut punch in the best kind of way. Very well thought out and worded giving attention to an issue most of us don’t realize we have. Way to force it out into the sunlight in a non condemning way. Some great practical steps to help someone get started in a way that feels doable. So much for me to think on. Thank you. Hi Amy, thanks for your kind words – really glad you enjoyed the article. When digital came into being here in New Zealand – you needed a different TV. I decided to see how well I would manage without it…People kept telling me I needed it! I found at first i missed certain programs and other shows but then I discovered I could watch things at my leisure via “on-demand” website. So instead of throwing myself in front of the box and mindless watching every thing, I got more involved in less…AND I found I DIDN’T miss it all. Hey Cathy, that’s a great way to do it – I do the same thing, so rather than just mindlessly turning on the TV I’m looking for programs I’m specifically interested in. Glad to hear it’s working out for you! This is the Golden Age of Television and I love it. I don;t want to be cured. Like your site, keep up the good work. Cheers Richard. There’s definitely some bloody great viewing out there.